Join Us Today And Build Your Skills One Step At A Time! Welcome to Iron Bridge Martial Arts Academy, home to the highest quality training in town. We are proud to serve everyday men and women across Covington with dedicated instruction and a proven system of success. From day one in our classes, you'll enjoy comprehensive coaching as you learn to master traditional martial arts disciplines like Kung Fu and Tai Chi. And with each class, you'll build strength and burn fat on the way to better health and incredible self-defense. Our classes are great for all ages and experience levels. Check it out for yourself by filling out the short form on your screen today! A fun-filled and educational experience for your child. Not only does our kid's martial arts classes promote fitness, but also self-assurance and respect for others! 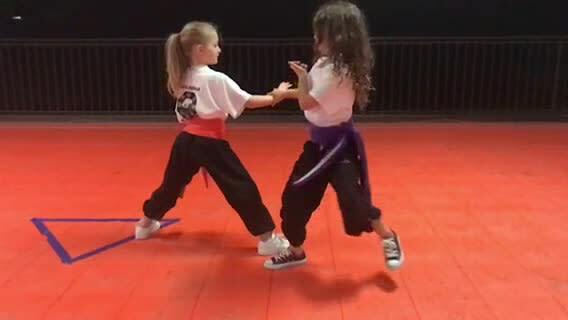 Covington Iron Bridge Martial Arts Academy training is an exciting workout to get you pumped up about fitness and learning about protecting yourself in any situation! If you are looking for a Martial Arts class that brings balance between the mental, spiritual and emotional aspects of your life with carefully constructed courses of study, then Iron Bridge's Tai Chi classes are perfect for you.